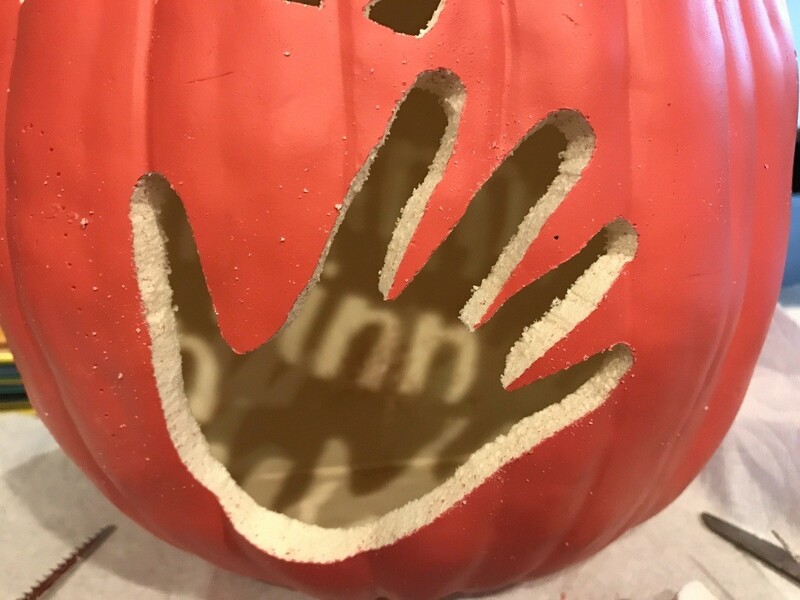 Here is a great way to make a jack-o-lantern with your little one that you can enjoy for many years. 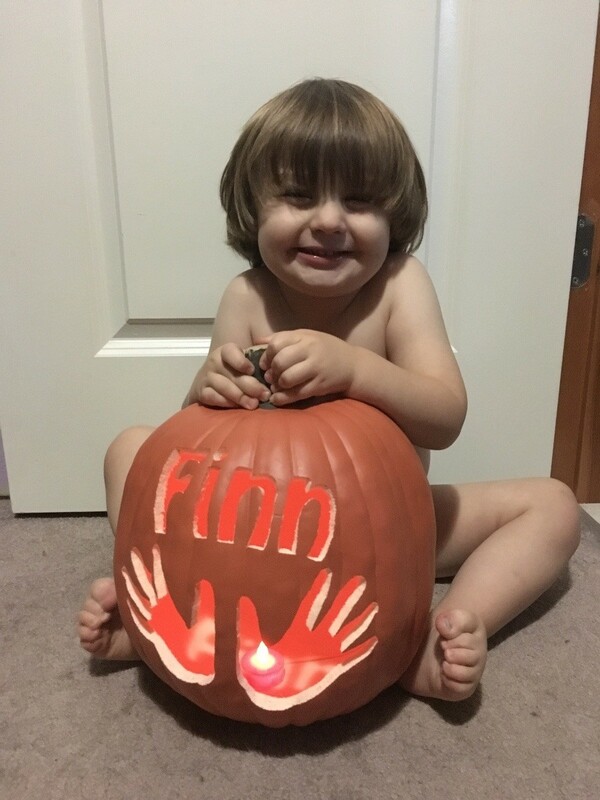 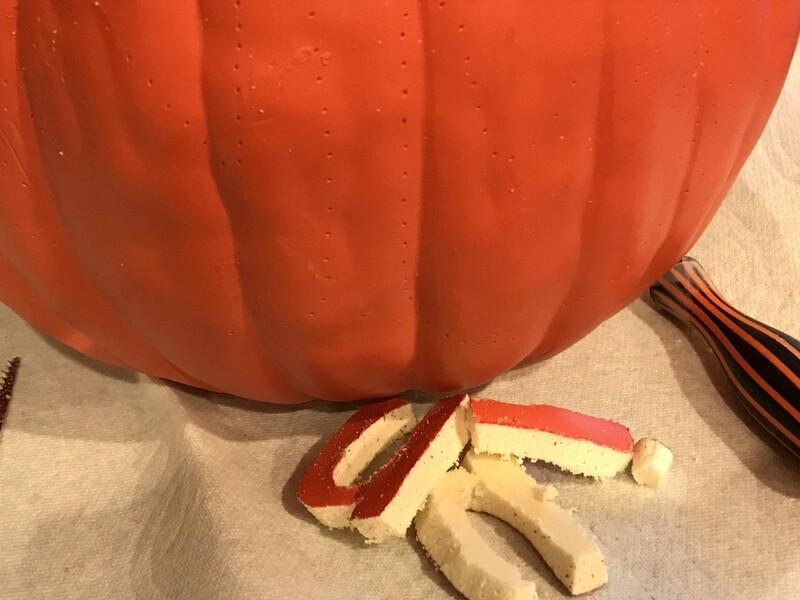 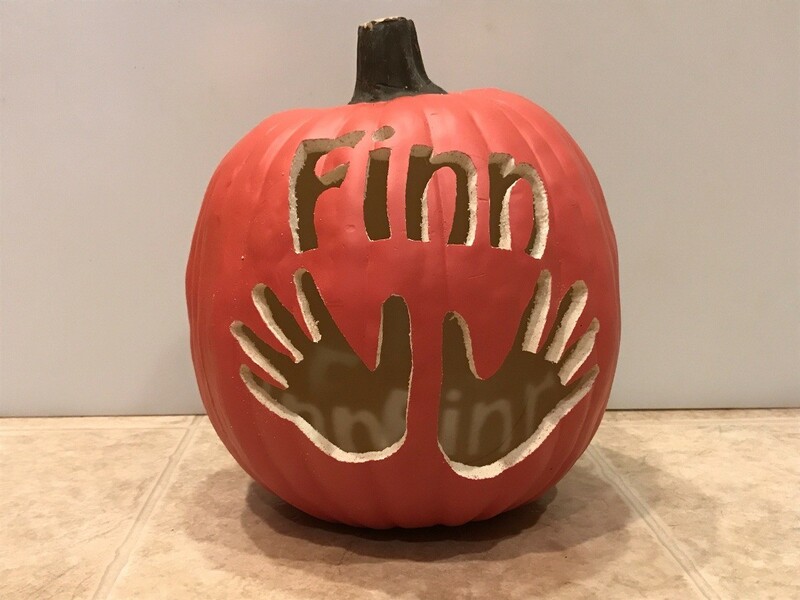 This carved foam pumpkin is a great way to preserve their little handprints along with their name. 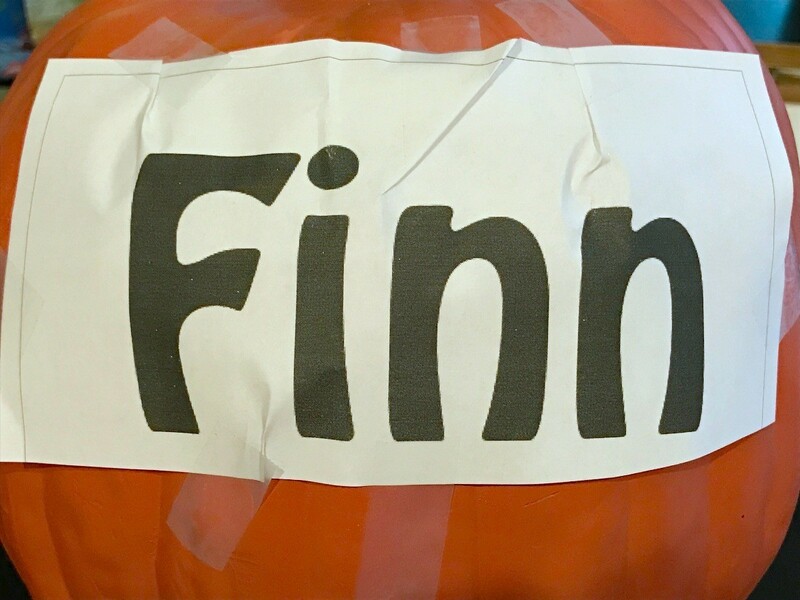 Create a template for the name. 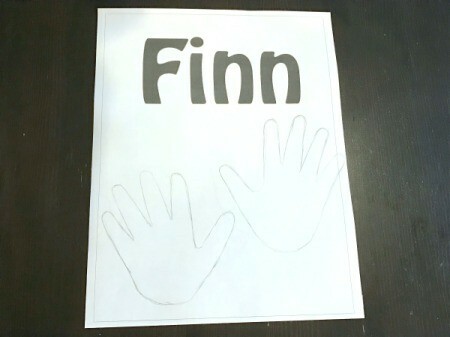 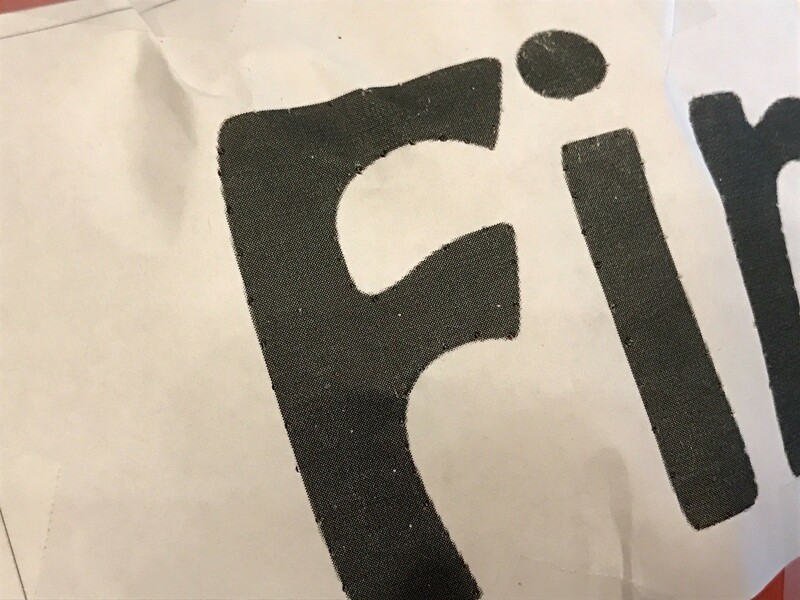 I made the name on the computer (using a chunky font), then printed it out, and traced my son's hands below it. You may need to do the hands on a separate piece of paper. 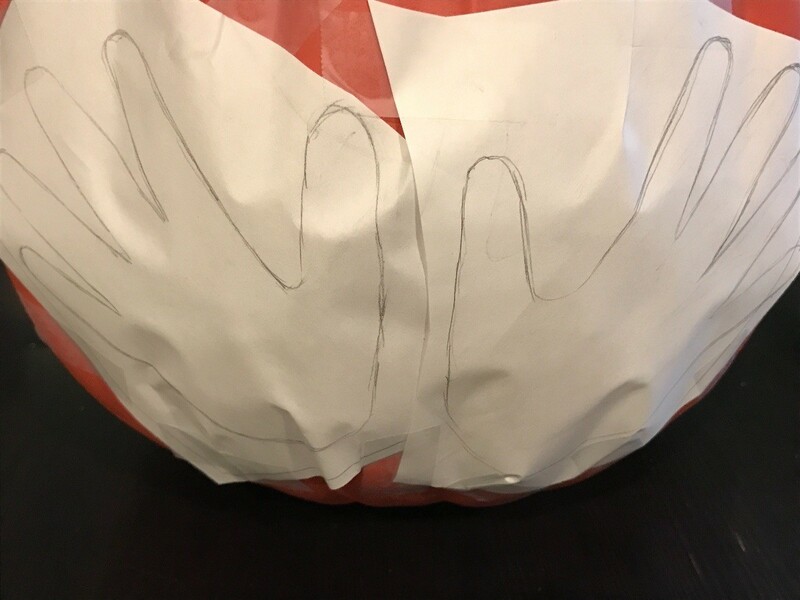 Tape the name to the pumpkin and create little folds in the paper so that it contours to the surface. 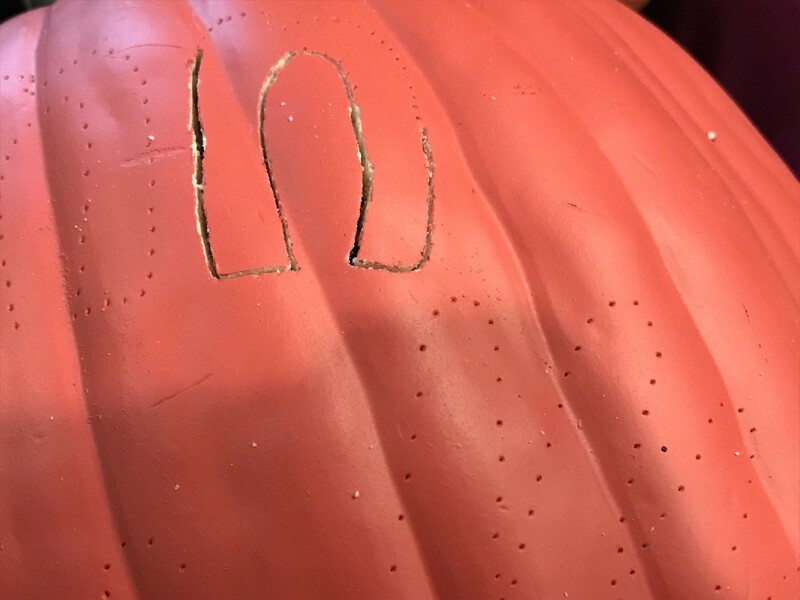 Note: I chose to do the name first, so that I could reposition the handprints as needed, for it to all fit on the pumpkin. 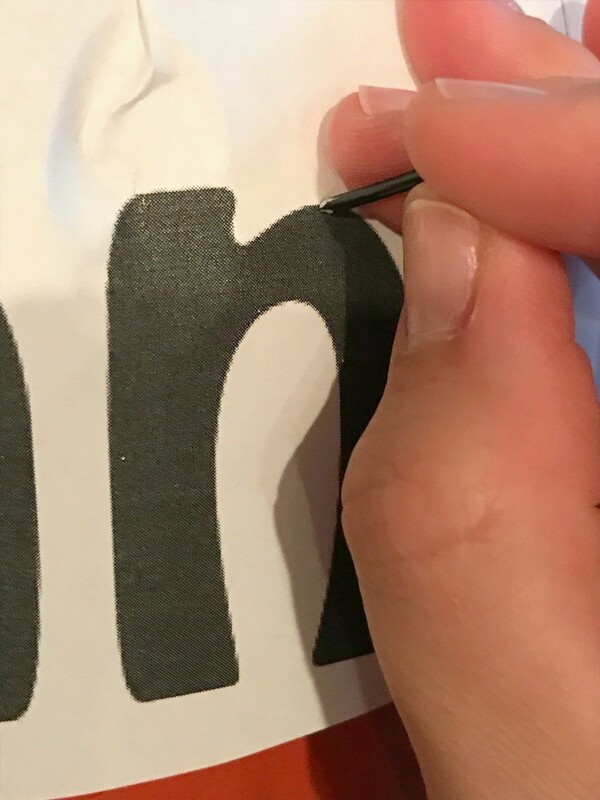 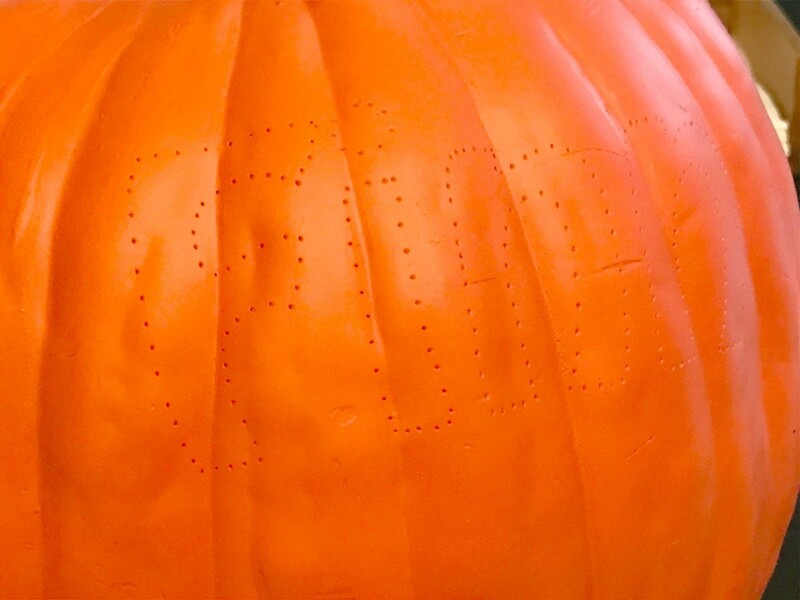 Use a push pin to poke tiny holes along the outline of the letters. Then remove the paper and repeat with the handprint template. 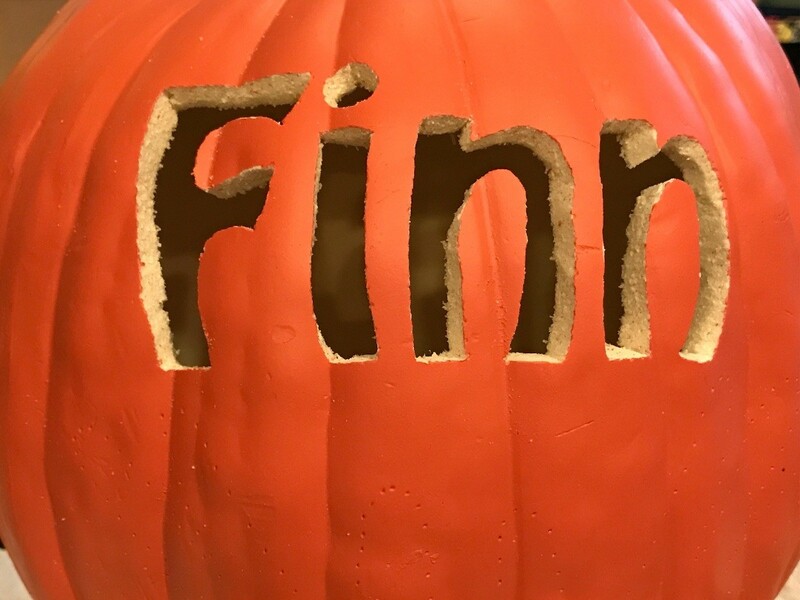 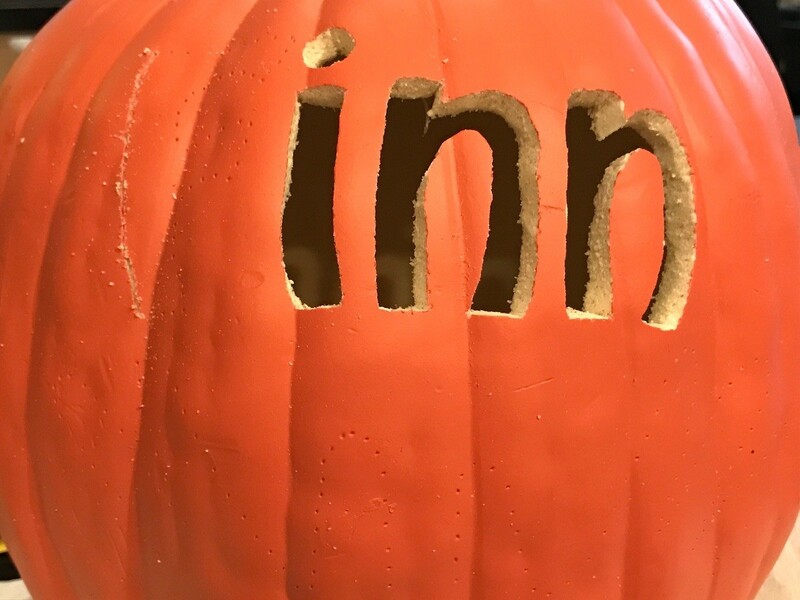 Use a pumpkin carving knife to carefully carve out the name. 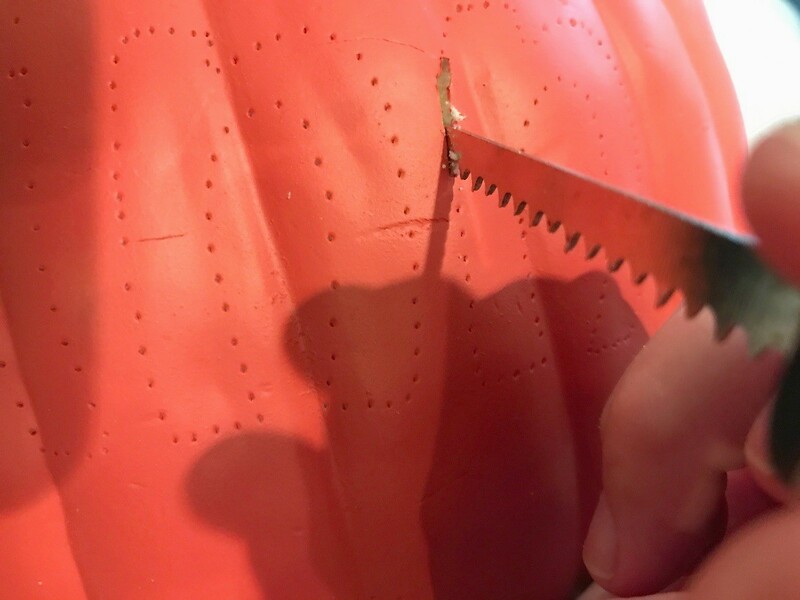 If you can find a small-toothed knife, I would recommend using that. 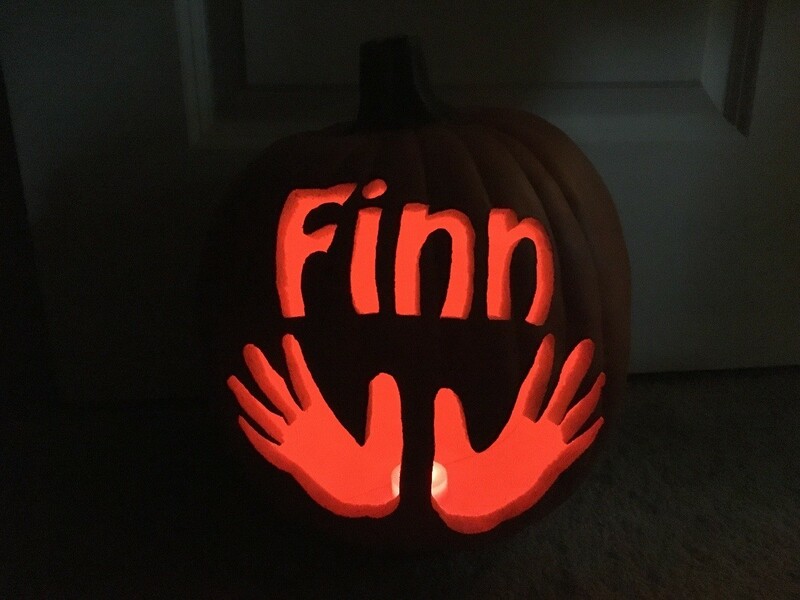 Now carve out the handprints, light it up with a battery-operated tea light, and enjoy!